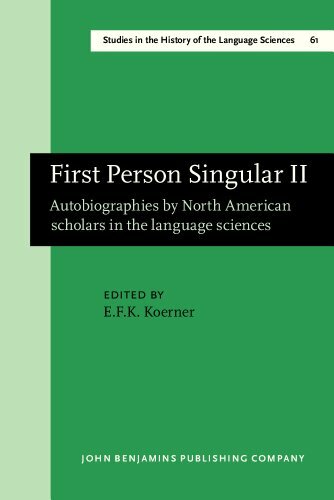 This sequel to First Person Singular (1980) presents autobiographical sketches of 15 eminent scholars in the language sciences. These personal reminiscences on their careers in linguistics reflect developments in the field over the past decades and shed light on the role each of them played and the influences they underwent. This book is a valuable source for scholars of the history of ideas in general and for historiographers of linguistics in particular, while it makes interesting reading for every linguist interested in the history of the discipline. The volume includes photographs of all contributors and is completed by an index of names and an index of subjects and languages.